With more than 25 years’ experience in transport services in the GCC we provide safe, innovative, economical and reliable transport solutions using the best integrated global HSE practices, cutting edge new transport equipment operated by our trained crew and innovative engineering teams. 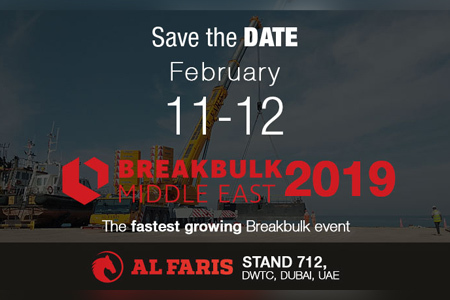 Al Faris’ modern fleet of heavy transport equipment is unparalleled in range and capacity, including everything from flat beds and custom low beds to conventional axle line trailers and self-propelled modular transporters(SPMTs). Our outside-the-box solutions coupled with economical deployment of the right equipment and resources, engineering and global logistics experience guarantees a tailored transport solution for the smooth functioning of your project from the smallest to the largest cargo. We suggest effective solutions for heavy cargo transportation in complex situations. Our trailers are well kept by engineers to function with excellence. 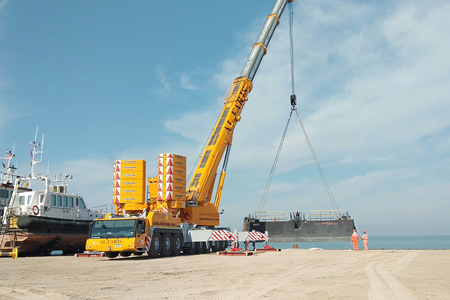 The heavy equipment is loaded, carried, and landed under trained crew’s strict observation. 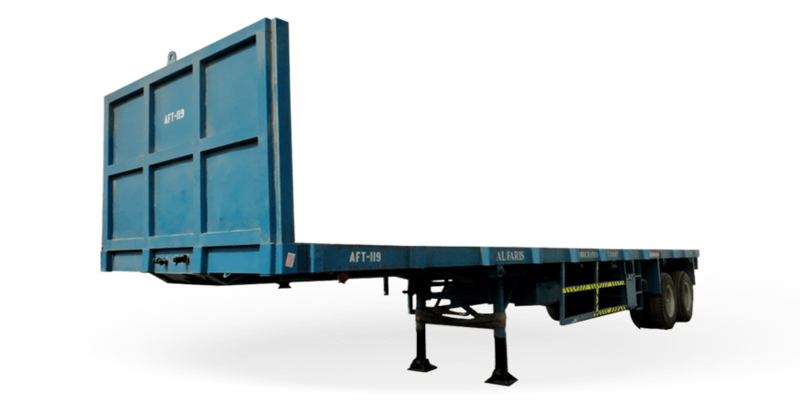 We have all types of the variety of trailers from curtain side to flatbed and box for superior functioning. 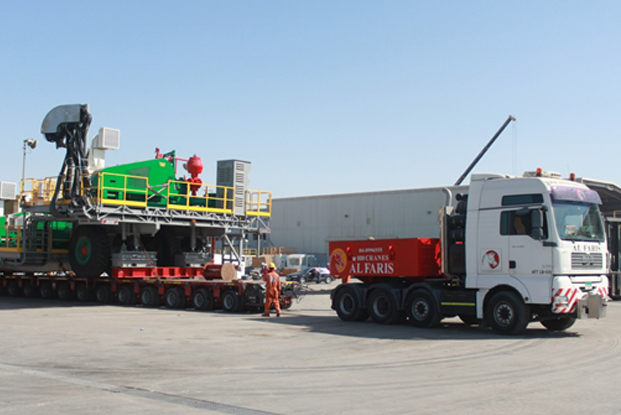 Al Faris’ modern fleet of heavy transport equipment is unparalleled in range and capacity, including everything from flat beds and custom low beds to conventional axle line trailers and self-propelled modular transporters (SPMTs). Our large fleet of trailers is complemented by our creative engineering and global logistical experience. Our technical solutions department works on complex structural calculations in order to select the most effective solutions for our clients. We rely on the experience and dedication our team of engineers and technicians possess and ensure top-class technical evaluation and project preparation. Our engineers and operators carry out extensive route planning, identify obstacles and feasibility among others as part of our heavy transport services. 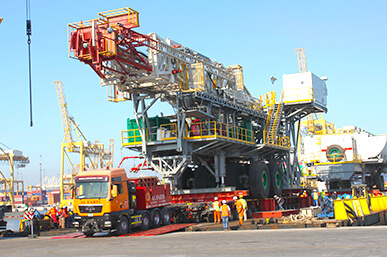 Over the years we have performed numerous heavy transport operations for abnormally sized objects and received awards for our ‘out of the box’ solutions for critical heavy transportation projects. Our team has the experience and competency to find a solution for all your needs and provide you with a safe and optimum strategy . With dispatch depots all around the region, we have set up dedicated workshops for service and maintenance. Service vehicles with trained and competent crew are available 24×7 to ensure efficient operation of all our equipment. We also stock a large inventory of equipment parts to facilitate a quick ‑fix wherever possible. Our service vehicles are equipped with all on-site required maintenance equipment and ‑fitted with safety systems that make them capable for entry to restricted zones. We are proud to offer an end-to-end barge service, from project management to site moves. Our Marine Solutions is dedicated to providing full support in barge services.